Torn from the arms of her lover, SHE knew her game was up. She lived in a country where adultery was considered one of the worst crimes. It was death for her. Seated in his tax office, HE knew he was caught in a trap. He had been embezzling money for years. Swindling and cheating was his way of life. He wanted out–he knew what he did was wrong–but how, oh how could he escape? He was in the employ of the enemy. A foreign refugee in a family-oriented, tribal society, SHE had little hope of finding shelter or a family herself. She was broken and helpless. And another SHE had just committed the original sin. She suddenly felt naked and alone. 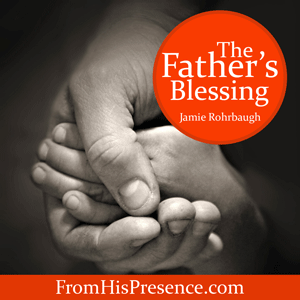 Her bliss was gone and she was afraid … because here came Father. What, oh what, would she do? Surely punishment was near. But what did Father do in each situation? 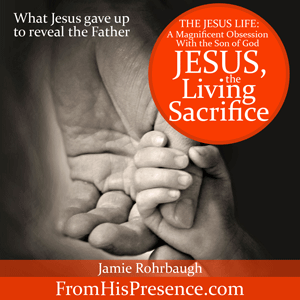 He kissed each child with His favor and redeemed each life into His eternal purpose. The woman caught in the very act of adultery was thrown at the feet of Jesus. And what did Jesus do? His words chased away all her captors … then He said, “Neither do I condemn you. Go and sin no more” (John 8:11). Jesus walked by the office of Levi Matthew, the tax collector, and heard Father tell Him that Matthew the sinner was going to be Matthew the apostle. So Jesus said to Matthew, “Follow Me,” and Matthew got up, left everything, and followed Jesus (Luke 5:27-28). And within less than four years, He turned that former sinner into a different man and placed him in the highest role (the apostleship) in His Church. What about Ruth? 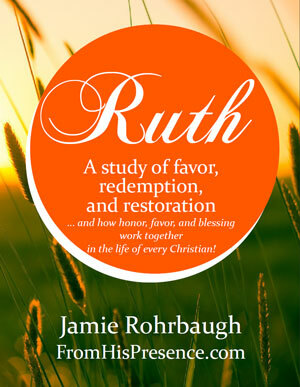 Ruth may have been broken and helpless, but Father took her under His wing. He kissed her life with His favor, gave her a husband (a rich one! ), a son, a home, and used her to birth the Jewish royal line. God’s favor so redeemed Ruth’s life that this lowly, broken widow actually became the maternal great (times a whole bunch of greats) grandmother of Jesus Christ. And Eve, the daughter of God, formed with His own two hands? Instead of condemning her, He condemned the serpent who beguiled her. He covered and clothed Eve again and gave her a promise of a Redeemer. A loving Father gave Eve mercy and favor. Because God’s mercy and favor can lift you in one moment from a poor, broken shell of a person into your eternal destiny. One moment is all it takes for God to move you from pauper to palace. And THAT is why I taught the Keys to Supernatural Favor workshop that I am launching this week. Because our Daddy God WANTS to lift you up out of your current place, give you favor, and elevate you. 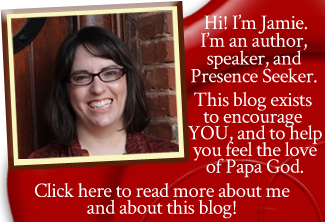 It’s time to stop being satisfied with the crumbs from Father’s table. 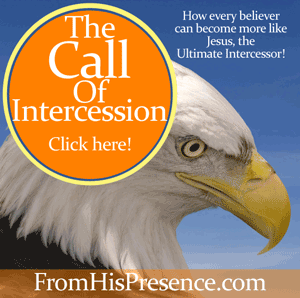 He is an abundant God, more than enough, All-Sufficient, God who sees and sees to it. And He is your Father. But if you don’t know how favor works, and if you don’t know how to protect your favor and how to harvest more favor, then you’re handicapped on your journey. In Hosea 4:6, God says that His people are destroyed for lack of KNOWLEDGE. You can have favor in Christ–and you do–but if you have no KNOWLEDGE of this truth, and if you don’t understand how to use it in your life, then the truth doesn’t do you a bit of good. 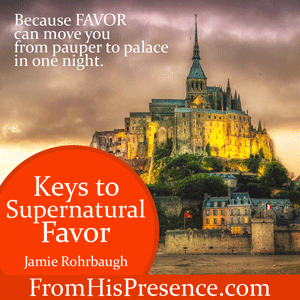 The Supernatural Favor launch sale on all these resource packs runs through tomorrow night (Thursday, December 3).